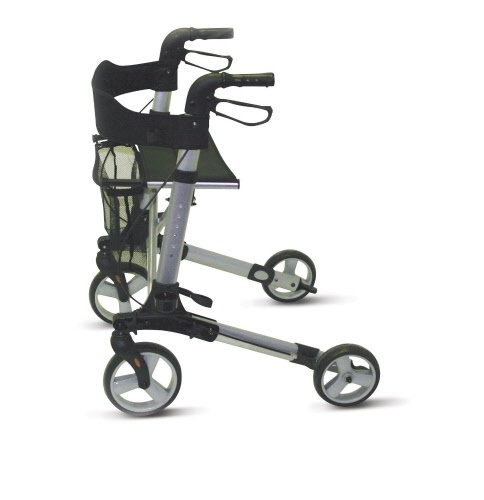 The handles adjust in height to suit a variety of users and situations and there is a cushioned safety bar for added safety. 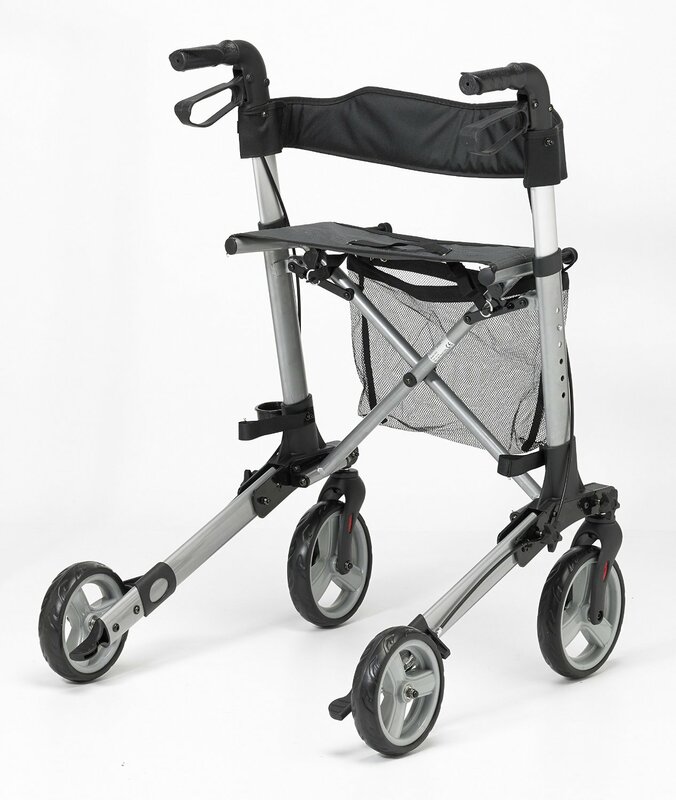 The comfortable ergonomic hand grips have loop lockable brakes whilst the seat enables the user to take a rest. There is a net bag for personal belongings while out shopping. 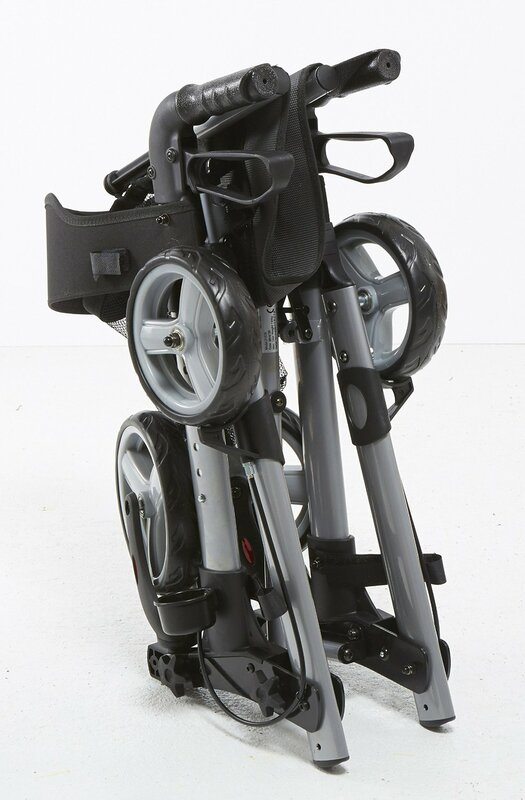 This rollator is supplied with a walking stick holder as standard. Folds flat for storage or when not in use. Specification Overall Height 810-930mm / 31¾-36½"
Overall Width 660mm / 24¾"
Overall Depth 680mm / 26¾"
Seat Height 610mm / 24"
Seat Width 460mm / 18"
Seat Depth 200mm / 7¾"
Powered by ShopFactory to sell P1244 online. All-in one eCommerce and online shopping cart software.